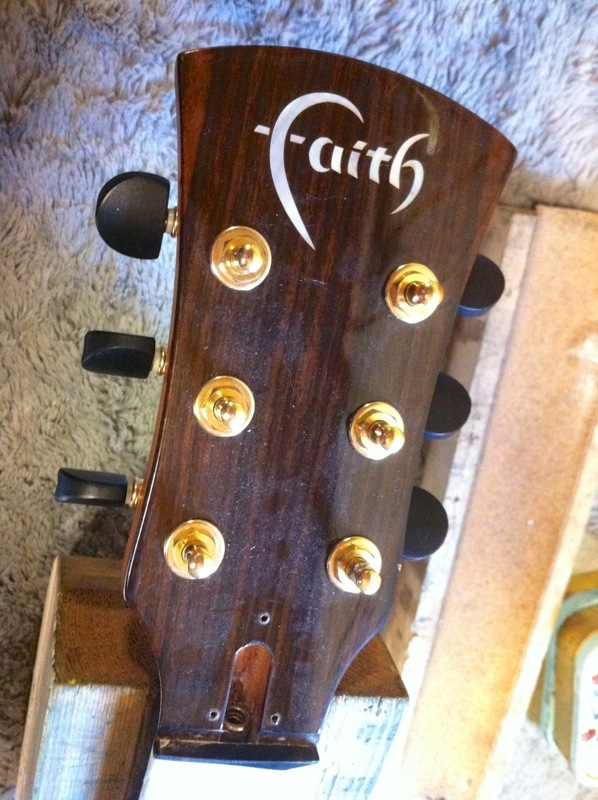 When I was asked to set-up this Faith High Gloss series guitar it had an action measuring 5mm at the 12th fret making bar chords very painful to play. 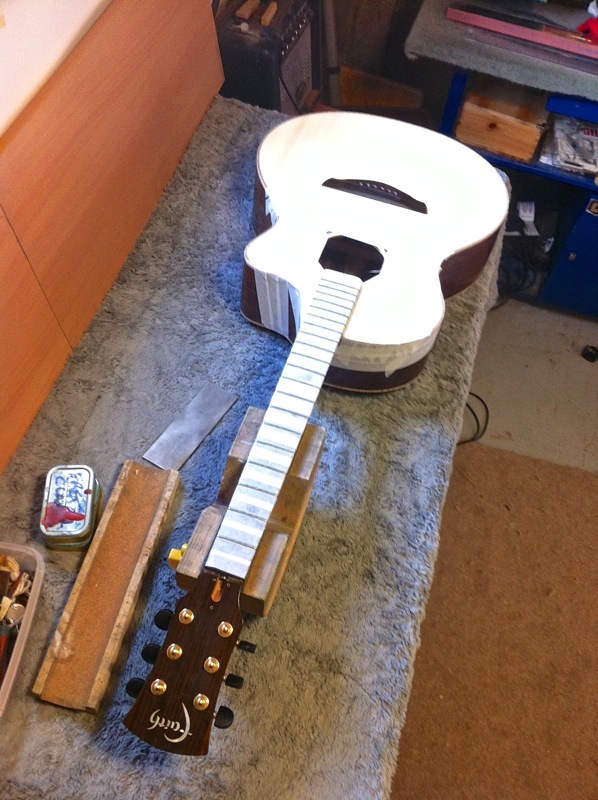 After a fret level/dress, saddle planing and some nut work it now plays with an action of 1.5mm at the 12th fret. It’s an all solid wood (Solid Engelmann Spruce top, Solid Rosewood back and sides) mid-range Faith model that retails for under £800GBP. This guitar has some of the smoothest tuners machine heads I have ever seen. Very good for keep it in tune with a correctly slotted nut. Be aware that most tuning problems are caused by a poorly slotted nut – not by stock machine heads. Inside shot of the sound label. 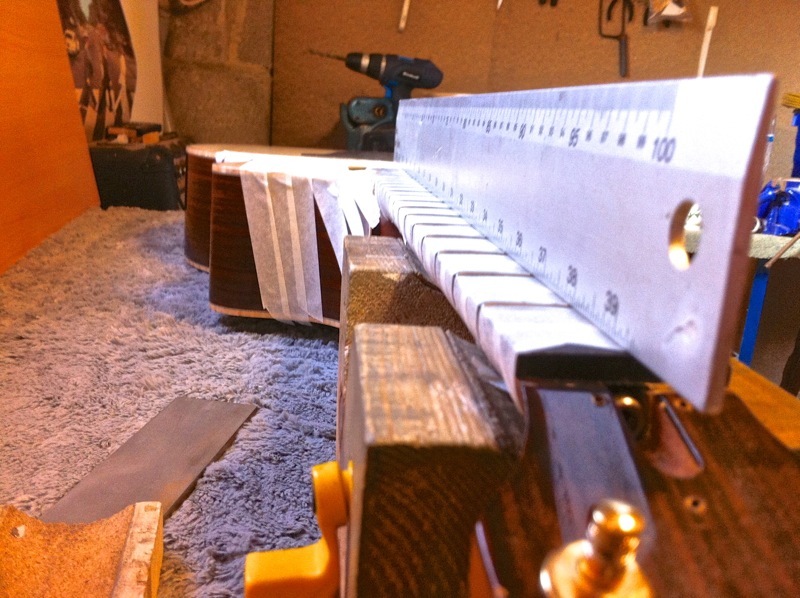 Nut removed ready for the work that should have been done before it left the factory.. Before leveling begins, I use a straight edge and adjust the truss rod to change relief on the neck, getting it into a position where it is a straight as possible. 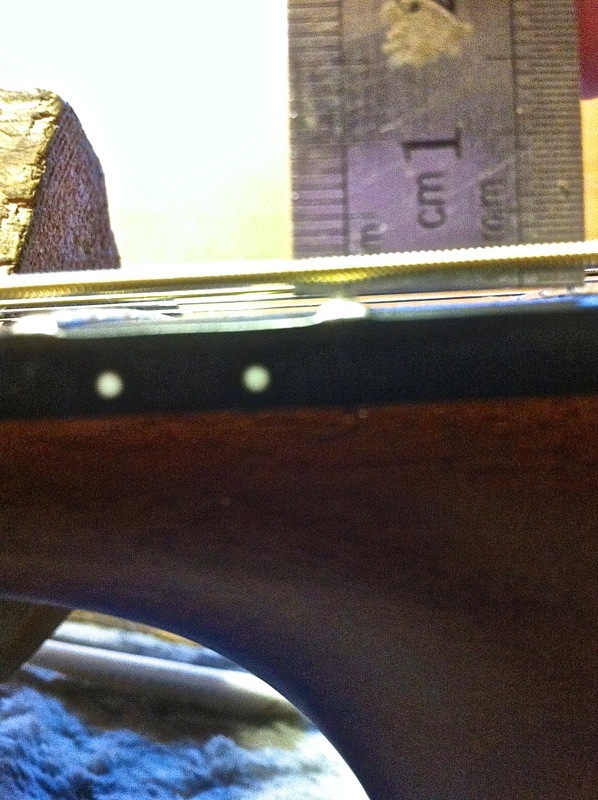 This guitar had a hump at the end of the fret board that needed leveling out. 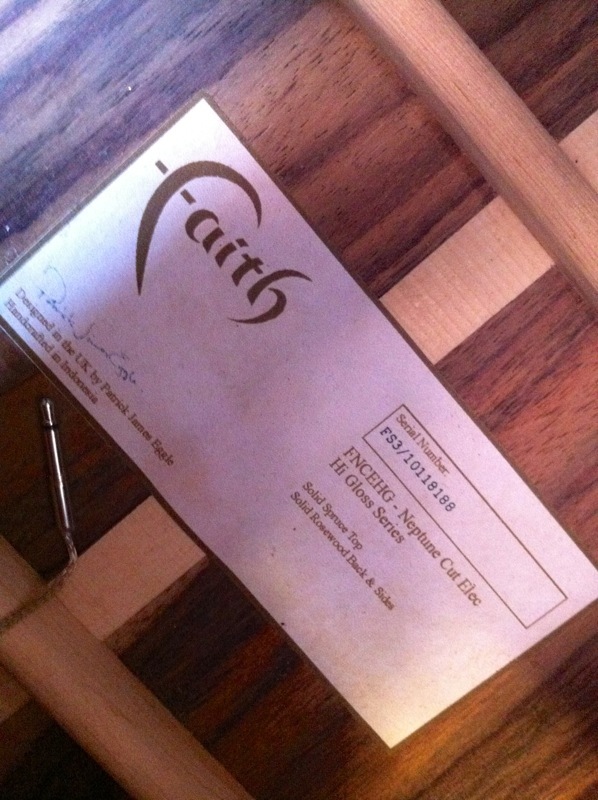 A quick check with a radius guitar – seems Faith use the 12″ radius found on Gibsons. 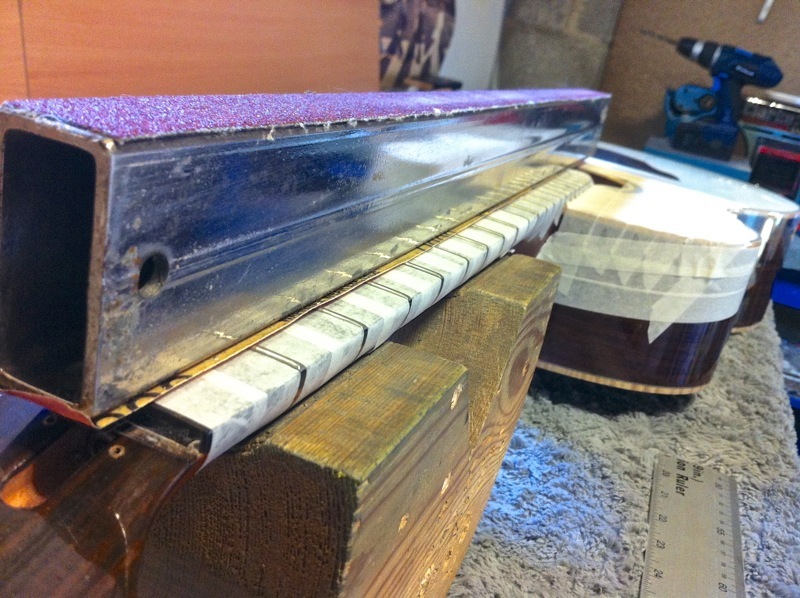 I use a 24″ heavyweight steel beam and 320 grit adhesive abrasive paper back and forth checking to see all frets have been touched. 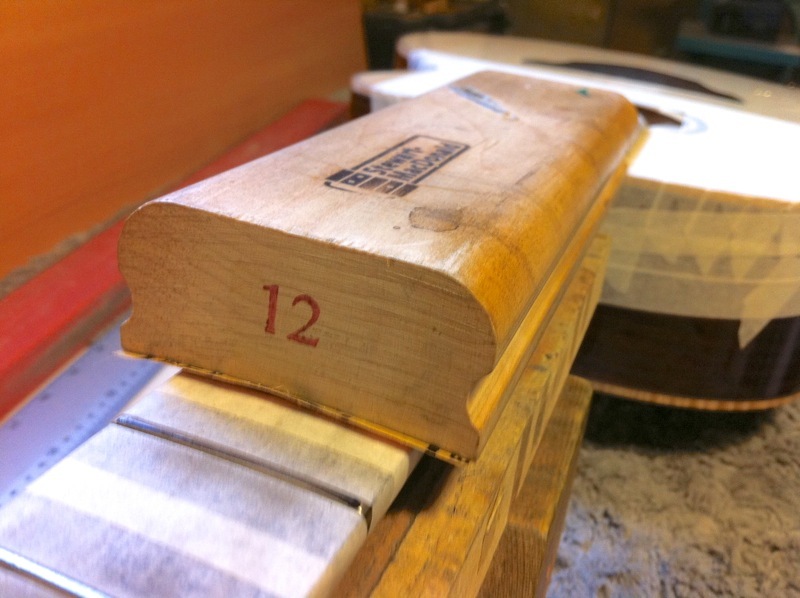 Once the frets are level the 12″ radius is put back on the frets. Here I’m using a diamond crown file to round the flat tops left by the leveling blocks. 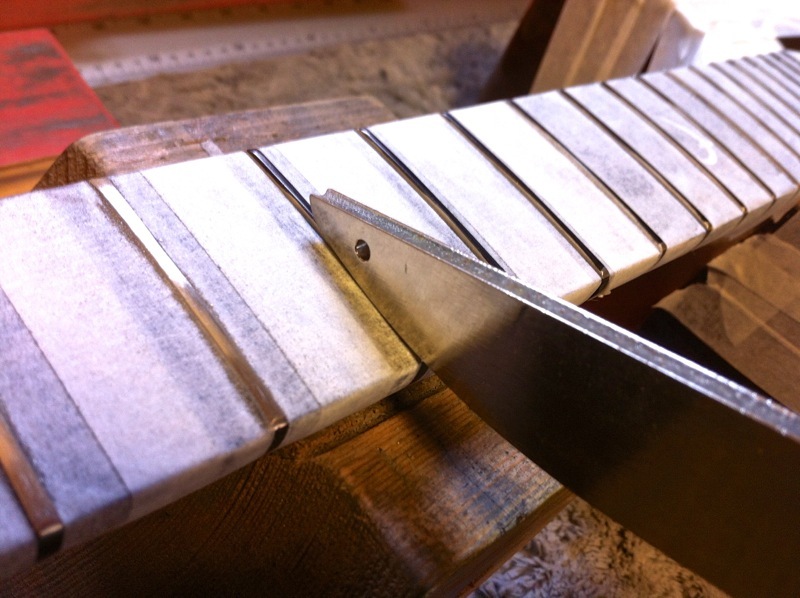 Depending on how much fret has been removed this can be very time consuming. 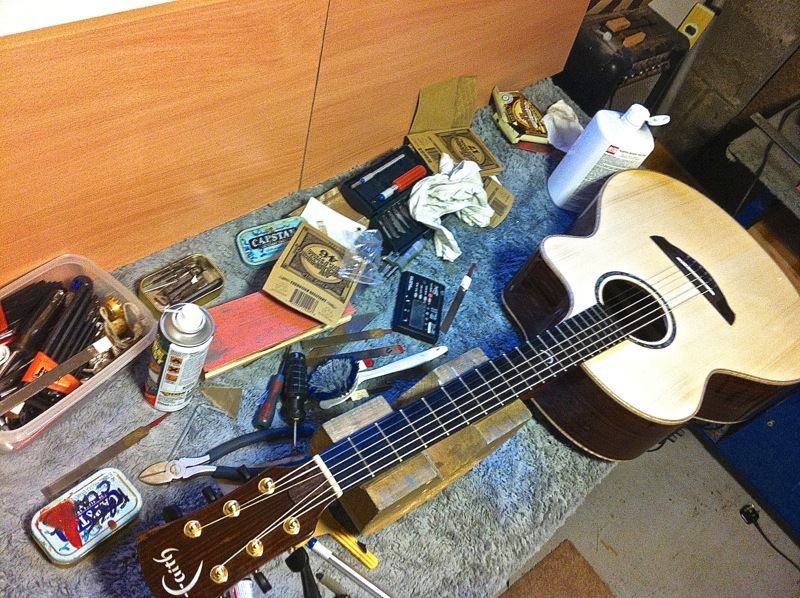 Strings back on – work bench a little messy ! 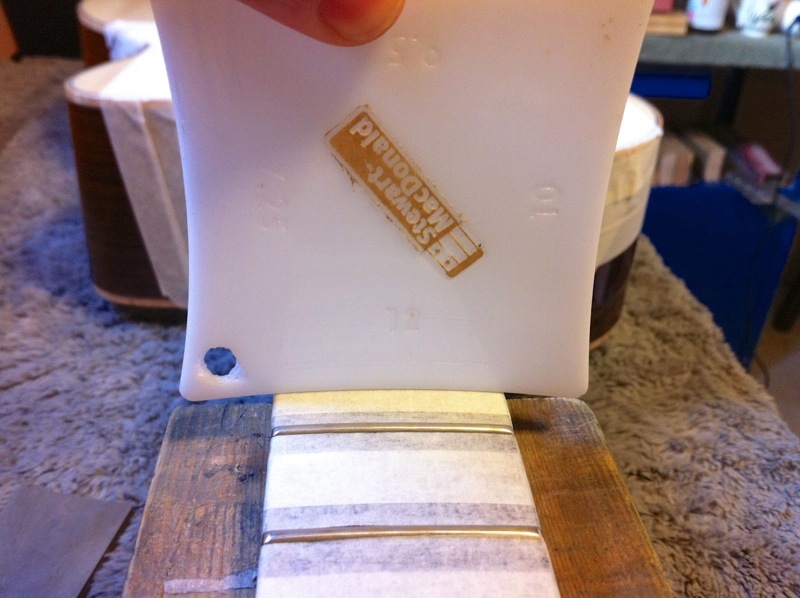 Having planed down the bridge saddle the string action at the 12 fret is 1.5mm a very comfortable playing action. Awesome work, plays like a dream now, the reduced action gave me much more confidence playing high end bar chords this weekend. No more worrying about bum notes, cramp or shredding my fingers. Already recommended setup to a friend. Cheers.